Senior Bhartiya Janata Party leader Yashwant Sinha on Wednesday said that these days, if you talk of dialogue with separatists, then you are called anti-national. Does it mean Atalji was anti-national? Sinha said that Farooq Abdullah has always been nationalist. Bypoll campaign was on so don't know in what context he made recent comments. 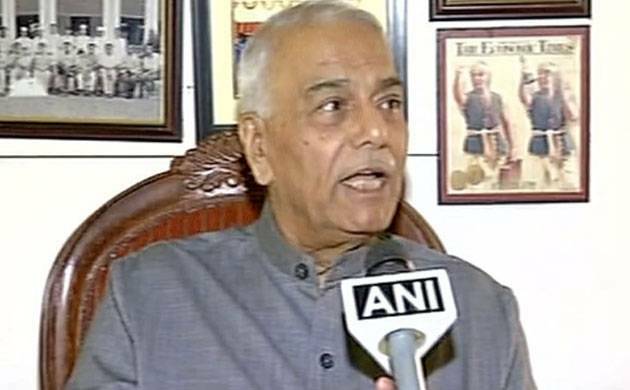 “There has been a lot of violence during J&K bypoll, nobody wants to risk their lives and go for casting vote,” said Yashwant Sinha. Speaking on the relations with Pakistan, senior BJP leader said that for 70 years, relations have not improved. Its due to trust deficit. As long as Pakistan remains in denial, talks have no meaning.